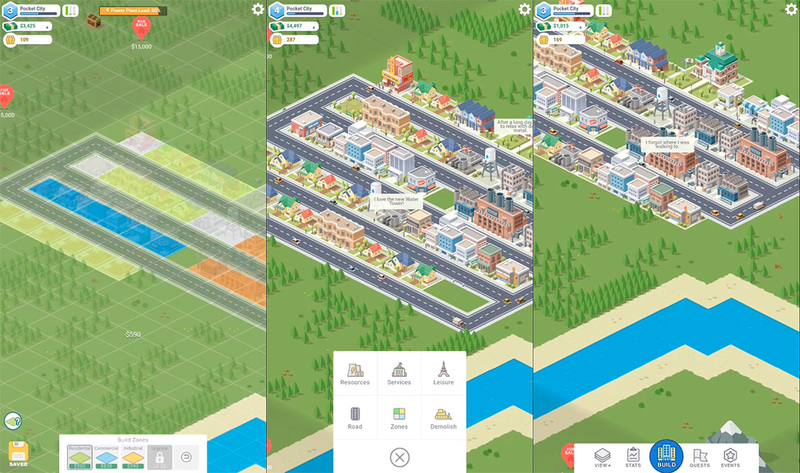 Fans of strategic management games are in for a real treat with Pocket City, a city-building app that's totally free of IAPs. Strategic management games have been around for a long while now, entertaining players of all ages. Building a city, a theme park, or managing the transportation network of a city are just some of the things that many of us have done in these types of games. The thing is, these types of games work perfectly on mobile devices. There’s just one problem: most such games been taken over by wait times and the subsequent microtransactions required to get around them. Luckily, there’s still hope. 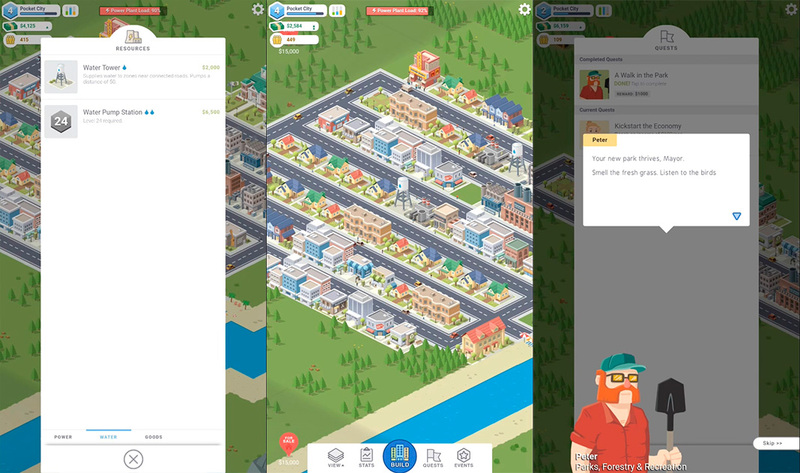 Pocket City is a game that lets you build a city to your liking, and you can do it all without suffering through the constant free-to-play tactics. Nowadays, it’s rare to find a mobile game without microtransations. Almost a miracle. Especially if we’re talking about management games where this has become the main business model. It doesn’t matter if you’re building a railroad company, a hospital, or a brewery; in every one, you’ll end up getting tired of waiting. Of course, not every game is the same, but some companies take these practices too far. Pocket City is sort of an answer to this problem. It’s a premium game that also offers a free version for you to enjoy. Creating your own city is pretty simple at first: you have three main types of areas for your main buildings (residential, commercial, and industrial). These buildings will help you bring in new residents that want to live there. In addition to the typical roads, you also have a good number of buildings that will improve the quality of life in your city. These, you’ll unlock as you level up by completing missions that your advisers request. Just make sure you don’t forget to provide the buildings with water and electricity. Pocket City Free is sort of an introduction to the premium title by the same name, although we have to say that the game works perfectly on its own. You’ll come across a few ads and a few less features, but fans of the genre are going to jump for joy with this new release. 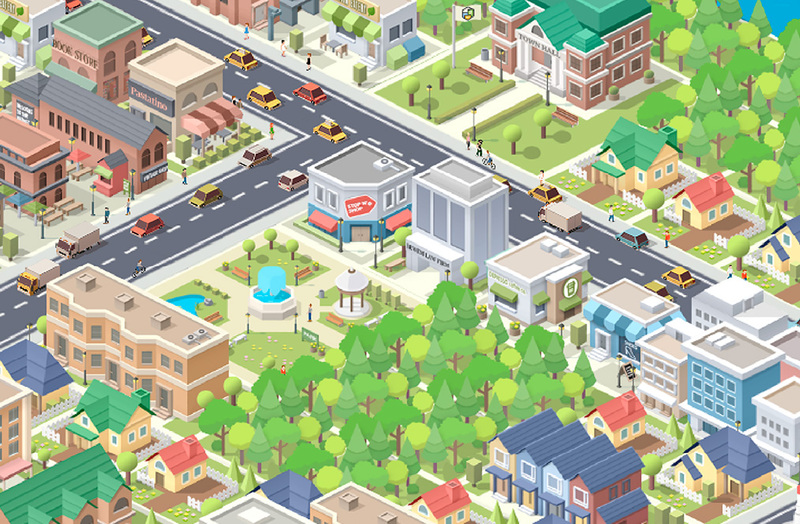 The game was created by a single person and we’d consider it to be the true heir of SimCity for smartphones. If you enjoy the version we have on Uptodown, then we encourage you to pay for the complete version, and lend some support to a game that’s like an oasis in the middle of the desert.